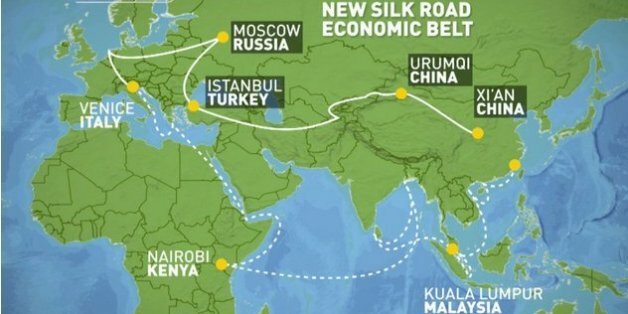 BEIJING -- The much-talked-about "Belt and Road Initiative" has been gaining attention ever since it was first proposed by President Xi Jinping of China in 2013. So has the recent birth of the Asian Infrastructure Investment Bank and the Silk Road Fund. B&R has been offered as an innovative mode of cooperation in global governance against the backdrop of a worsening economic situation and simmering geopolitical problems worldwide. That follows eight years of slow recovery since the financial crisis of 2008, which witnessed the failure of "neo-liberalism" and its infamous economic reform recipe "Washington Consensus." Can B&R really offer a way out of the quagmire the world has found itself in? China's economic growth probably gives the world its only hope, with the annual GDP increase at just under 7 percent that contributes over 30 percent to global economic growth. The dire prospects for global development and re-emergence of geopolitical troubles in the Middle East, Ukraine and elsewhere are pressing for answers that are yet to be found. What should we do to promote global peace and common development in the age of fast-paced globalization? Given the reality of the world today, what is so innovative and trailblazing about B&R? Can it really offer a way out of the quagmire the world has found itself in? Here are my main points to consider on these important questions. First, immersed in the idea of building a new network of global partnership, B&R provides a totally fresh way of thinking in regional and global cooperation, in that it is all-inclusive of both bilateral and multilateral cooperation in political, economic, cultural and other fields. It emphasizes the adaptability of developmental strategies of China and other participating nations so that it can produce benefits that are shared by all in a win-win outcome. 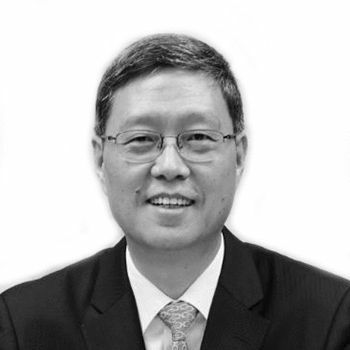 In a nutshell, B&R envisions the creation of multiple economic corridors encompassing more than 60 countries in East Asia, Southeast Asia, Central Asia, South Asia, West Asia, North Africa and East Africa, linking the most dynamic East Asia Economic Zone with the advanced European Economic Zone. If we visualize B&R, it is an economic partnership map with multiple rings interconnected with one another. President Xi has a very apt way to describe the B&R when he said B&R is a "chorus," not a soloist singing. B&R transcends different FTAs, including the newly concluded TPP, in terms of both scale and content as it envisions regional integration beyond pure economic union to form a political community of common interests and to forge as much as is possible a common cultural identity. Second, B&R looks forward to build "five connectivities" with a view to create a community of nations with common destiny. They are policy consultation, infrastructure connectivity, free trade, free circulation of local currencies and people-to-people connectivity that in sum denote "big trends" of economic globalization and socialization, information revolution and sharing economic growth. Policy consultation is put upfront in B&R for the simple reason that for B&R to succeed it behooves participants to have parallel development strategies and policies so that their economic growth strategies, macroeconomic policies and major growth plans can be aligned with one another through regular policy consultations. Infrastructure connectivity is easy to comprehend because economic growth and regional economic integration as part of B&R depends a great deal on the sophistication and connectivity of both "hard and soft" infrastructures. Free trade is a must for B&R in the sense that Asia as a whole needs to upgrade its place in global production and value chains with a freer and well-integrated production network embracing individual countries' advantages. Free trade also should come into play in regional production capacity realignment, i.e., moving excessive production capacity to countries that are in need of building up their own economic frameworks. The end result will be a much more open region-wide economic system. The Asian Infrastructure Investment Bank and the Silk Road Fund have given impetus to global financial system reforms and offer a new avenue of getting funds for infrastructure investment. Free circulation of local currencies will be an integral part of the new economic structure B&R creates along the way. The Asian Infrastructure Investment Bank and the Silk Road Fund have given impetus to global financial system reforms and offer a new avenue of getting funds for infrastructure investment. According to the Asian Development Bank, there is an $800 billion gap for Asian infrastructure funding during 2010 to 2020. McKinsey Global Institute estimates that over the next two decades, the global need for infrastructure funding amounts to a staggering $57 trillion. With intraregional free trade and infrastructure funding, a greater use and circulation of currencies of countries involved will definitely follow, thus reducing or avoiding risks of depending entirely on U.S. dollar-centered financial system for projects funding. People-to-people connections come from more frequent exchanges at all levels and create common cultural identity and affinity that will go along in the provision of a solid social foundation for building B&R. Only when people get to know other peoples better will it be possible that B&R will be accepted and engaged deeply by people from all walks of life. Third, B&R is not only a great opportunity for China to further opening up and reform, but it also provides a huge and multi-layered platform whereupon all countries along B&R can open up to one another to reap greater economic and social benefits. It is clear that China will be one of the major economic engines in the first half of 21st century with projected outward investments of 500 billion dollars and outbound tourists of over 500 million for the next five years. "Made in China," Chinese capital, China's market and Chinese consumers will be hallmarks in the new round of economic growth of the world. Fourth, B&R will be the cushion for China and the United States as the rising and incumbent powers seek to avoid falling into the proverbial "Thucydides Trap": The Belt and Road initiative will help both nations in a profound manner to have an appropriate strategic assessment of each other's intentions through solid cooperation in a region that is of immense significance as well as huge risks to two nations. B&R is also of great use as it involves both countries in policy consultation and economic collaboration to shape the future of our bilateral relations. I am happy to note that after the historic visit to the U.S. by President Xi, President Obama's administration has refined its position on B&R and the related Asian Infrastructure Investment Bank to a more open and welcoming attitude. As we celebrate the 70th anniversary of the founding of the United Nations this year, all nations big or small are reminded of the necessity to improve the global governance system as it is. I am convinced that with joint efforts and determination, B&R will prove its worth to China and other participants -- including the United States -- as a new path to mutual trust and better future in global governance.